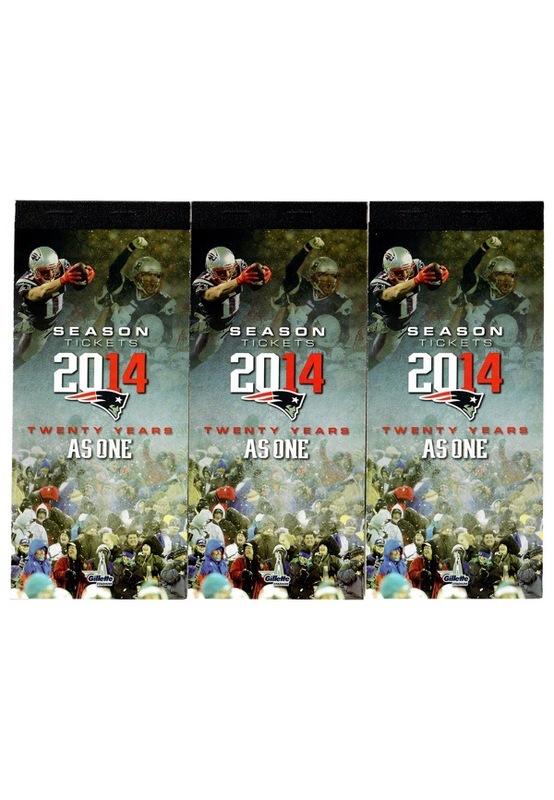 Three sets of 2014 New England Patriots unused tickets from one of their championship seasons. 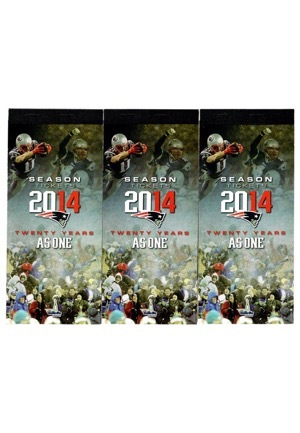 All regular season and preseason games are included as well as an in-stadium practice and one admission to The Hall At Patriot Place. 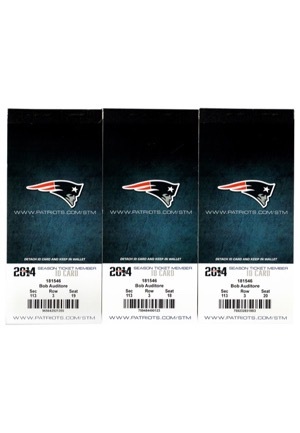 The tickets are for Section 113 Row 3 and seats 18, 19 and 20.